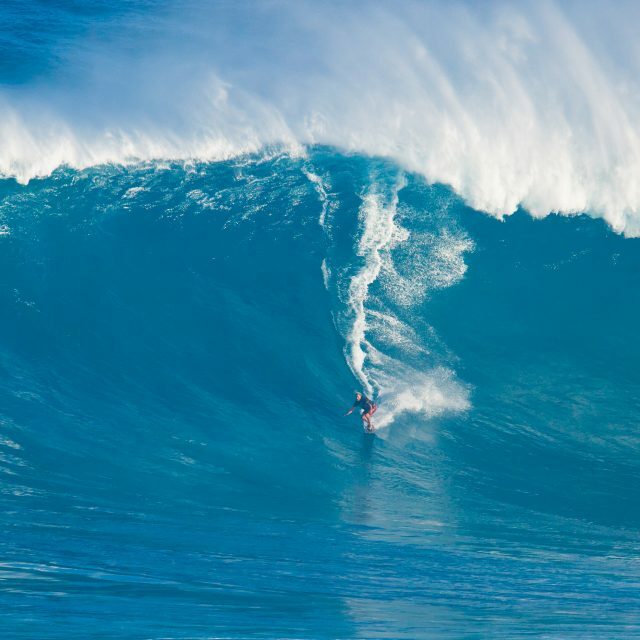 Have you ever watched the big wave surfers such as Laird Hamilton ride an 80-foot wave? Big wave surfers have made it their life mission to find ways to ride the largest waves out there. On the days that the coastguard recommends people to stay out of the water, these surfers go into the water. Here’s a clip to give you a taste of big wave surfing. When I watch surfing clips on YouTube part of me is pulled to go and become a big wave surfer and part of me wants to sip coffee on the beach while watching big-wave surfers. Or something stronger than coffee. When I taught Dialectical Behavior Therapy (DBT) to groups of teens, one of the key skills was, Ride the Wave. It is one of the simplest and yet most challenging psychotherapeutic skills. Notice when you have an uncomfortable emotion rising. Fully feel that emotion and release it. Carry on. When we try to push painful emotions away, it typically creates more tension inside us and in our interactions with others. You can assess what kind of emotional surfer you are and depending on your skill and experience you can often do it on your own. If you meditate, practice mindfulness, or do relaxation exercises this can be an excellent avenue to practice riding the wave. Part of riding the wave is noticing where you’re holding emotions in your body and giving them attention. It can be noticing the resistance to allowing an emotion. It can be noticing the thoughts or old patterns and beliefs that keep you from expressing your emotions. One notice might be the common culturally valued pattern of “keeping it all together”. We often want our children to “keep it all together” too. This belief is a barrier to feeling your emotions. Notice the language ‘keep it all together” – the phrase intuits a fear that letting out emotion will result in falling apart. I don’t know about you, but i’m easily distracted when i try to emotionally surf on my own. My mind creates things that are much more urgent for me to do instead. Also if you’re a master at holding in emotions, it often takes time and space to allow for things to start moving. As a psychotherapist, this is often what I help people do. Holding in emotions takes A LOT of power and energy. If we slow down and connect to those buried emotions this can help us shift the tension in our bodies and free us from old patterns. I have had many therapy sessions where it took the full hour to allow myself to feel something deeply, and if I wasn’t paying for the session, I would’ve ended it early and buried the emotions for a little longer (maybe a decade). Like choosing a wave to surf, riding an emotional wave must be your choice. No one can make you do it. Yet like learning to surf, it can be helpful to have a guide on your journey. No one becomes a big wave surfer overnight. It’s helpful to start by putting your toe in the water, or notice if you’re drowning in your emotions and need a life preserver or someone to take you back to smaller waves first. Riding the wave is a skill that has taken me a long-time to learn, but with the help of some fabulous guides I keep going back in the water, even when I’d rather be on dry land. Who is this skill best suited for?